Simple but nourishing meals are my current “time-poor” self’s go-tos. 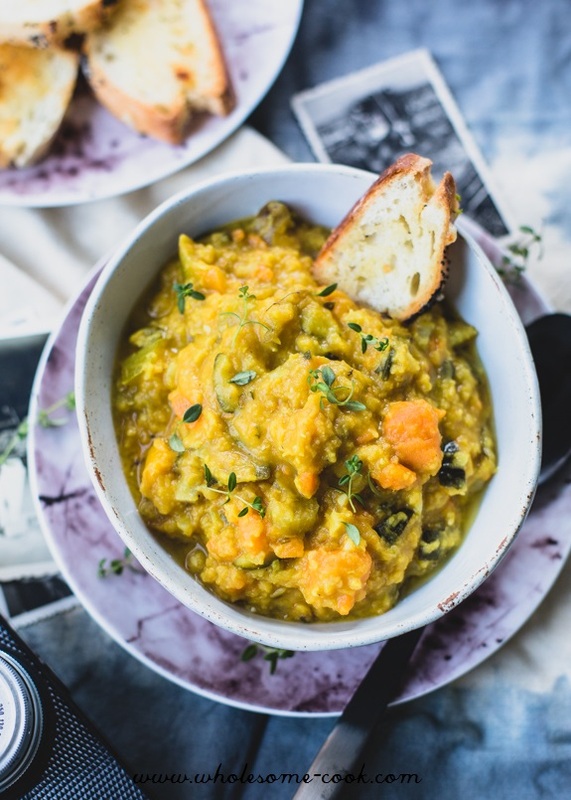 One from our last week’s menu is a soup called Grochowka, which can be best described in English as lentil dhal. 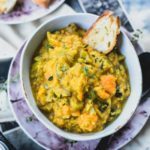 But the flavour is more earthy, in a Europe in fall kind of way and not at all curry-like, compared to an Indian-style dhal. 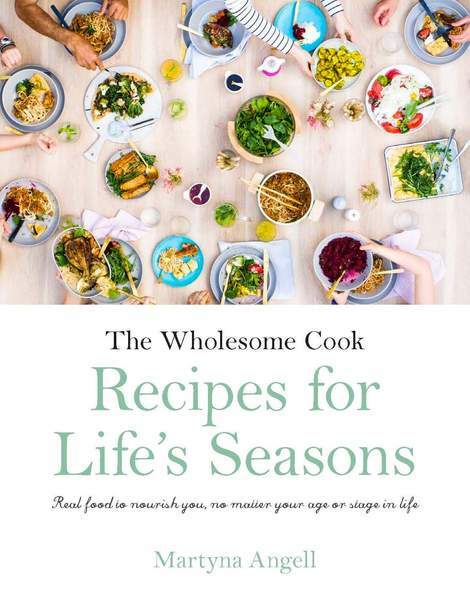 Mum has been a trooper helping me look after Mia while I edit the reviewed version of my next book, The Wholesome Cook Eating for Life’s Seasons. I have made sure that we enjoy a little time out, spend time outdoors and that Mia also spends time with her dad. I am also really trying to, whenever we start talking about dinner plans, put pen to paper and chronicle all the recipes I’ve loved from my childhood. Mum is a great cook and her repertoire of classic Polish dishes is quite extensive. She’s very knowledgeable in cooking techniques and in nutrition so I am soaking it all up while she’s here and still learning lots. Polish recipes especially. Our Grochowka, was made with the leftover Christmas ham bone and skin, the fat rendered into the soup gave it a richer flavour, but you can simply add some fried cold-smoked speck at the end of cooking for a similar effect. We simply didn’t want the bone and skin to go to waste with so much flavour still there. Although the Polish version is a lot thinner and generally enjoyed with bread, this particular version is the consistency of your regular pea and ham. It will thicken in the fridge, if there are leftovers, but a cup or two of water can be added to thin it out again. I quite like it thick though as it goes really well with a base of brown rice. 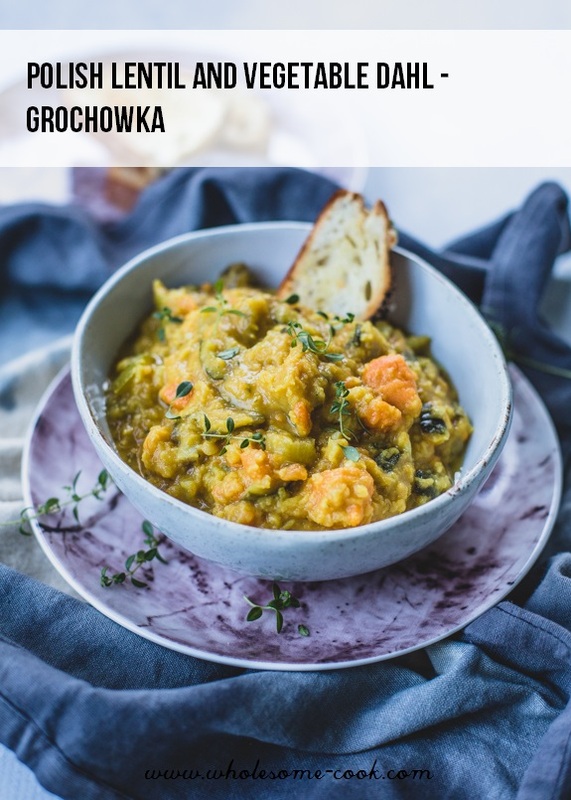 Our Grochowka, was made with the leftover Christmas ham bone and skin, the fat rendered into the soup gave it a richer flavour, but you can simply add some fried cold-smoked speck at the end of cooking for a similar effect. We simply didn't want the bone and skin to go to waste with so much flavour still there. 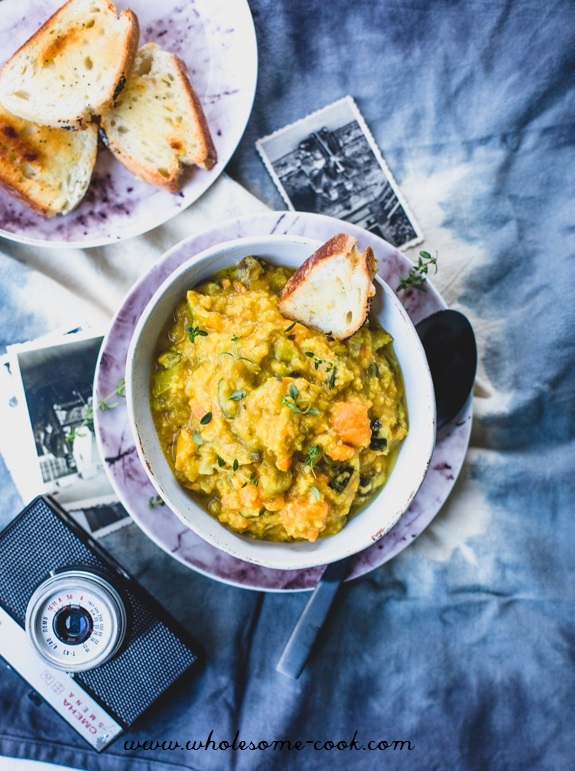 For a vegetarian version, omit the speck and use extra virgin olive oil to ensure you get the full nutritional benefit from the dhal. Place all ingredients except for the garlic, marjoram and speck in a large pot and cover with water. Bring to the boil, stirring occasionally, then cover, reduce heat to simmer and cook for 30 minutes or until the lentils are tender. Add more water if you prefer the dhal to be thinner. Turn off the heat, add crushed garlic, marjoram and stir through. If using, fry off the speck until crispy. Drizzle the rendered fat and crispy pieces or olive oil over the soup. Serve on its own or with some bread, quinoa or rice. My brother in law is Polish and he has made this soup before, I am excited to try it myself now because I really liked it. Polish food is so delicious.